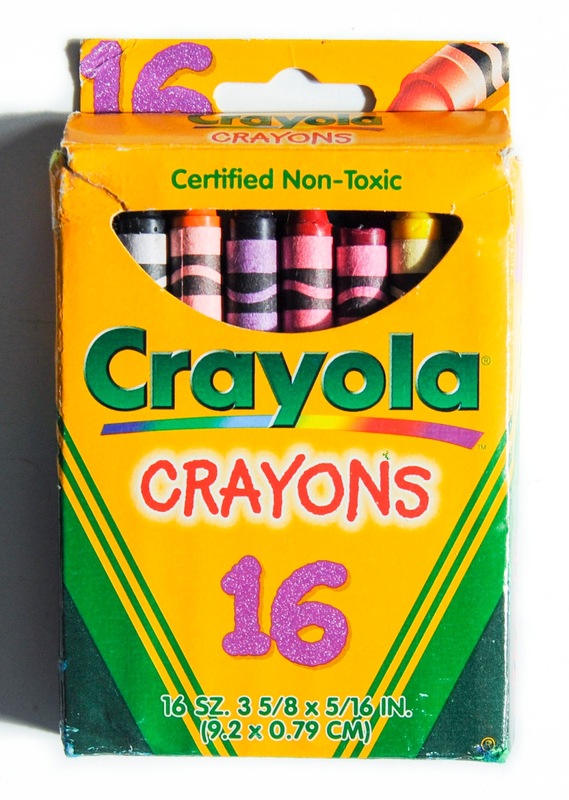 The 16 count box from Crayola has been around since 1910. This box is from 1997. These colors were put in this box as a collection. I bought this box on eBay. I was very disappointed when it came and two colors were broken and were not broken on the listing. I told the seller and they were going to replace the colors, but I guess I didn't get back to them in time (2 weeks) and they said they weren't going to replace them. Guess I will be more careful when I buy on eBay. I bought it because Indian Red was included in the box and I did not have that color in my collection yet. 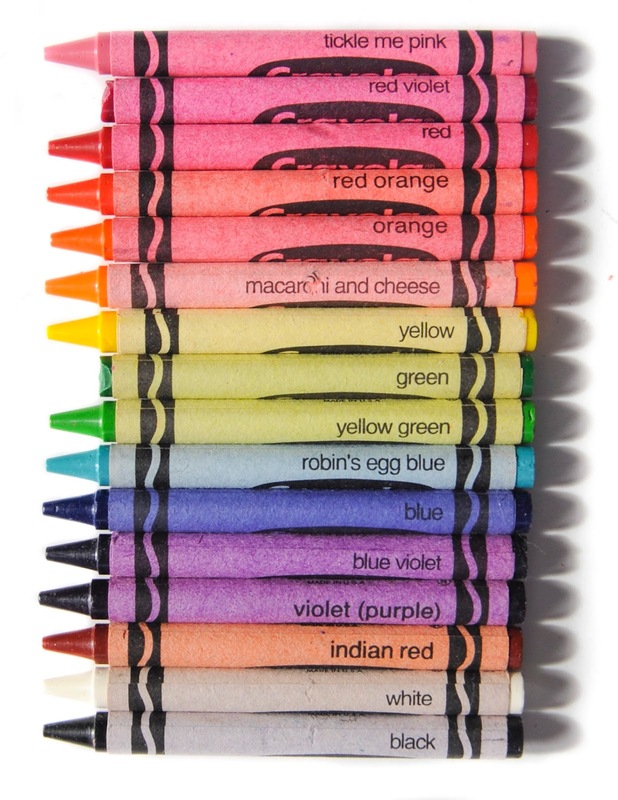 It is a very important color in Crayola's history and has since been retired. This is the 8th 16 count box that has a style and code number. 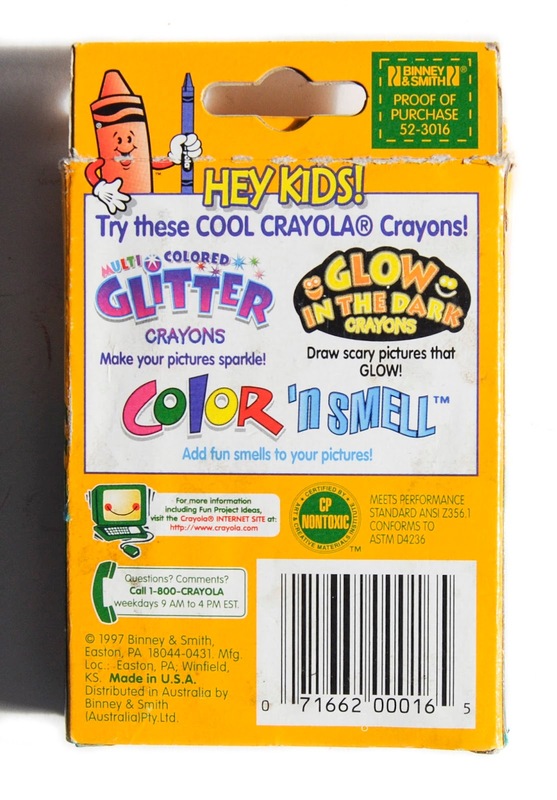 I am unsure yet what year Crayola started putting style and code numbers on the boxes.